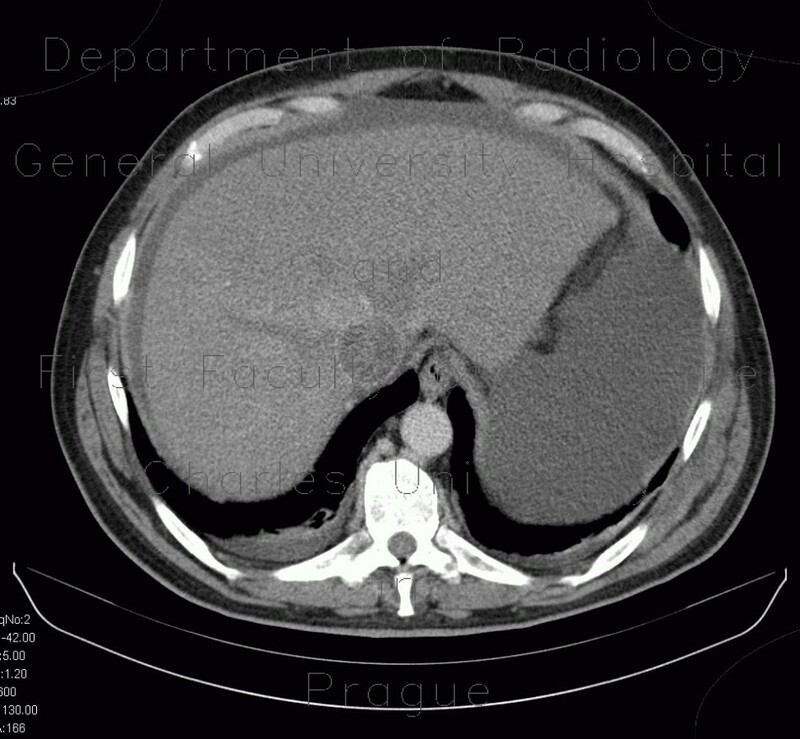 CT shows large enhancing mass arising from the right kidney which represents renal carcinoma. The right renal vein contains enhancing thrombus, which extends into the inferior vena cava and almost into the right atrium. Note also tumorous thickening of the pericardium along the right ventricle.